Friday Gameday: New Trend for No. 1? Three weeks gone. Three new No. 1s. After a 2-2 tie and a 3-2 win at home against No. 11 Nebraska-Omaha over Thanksgiving weekend, it’s time for UND’s crack as the top dog in the hockey world. The newly-dubbed No. 1 North Dakota men’s hockey team will try to break the running trend of No. 1s to fall tonight and Saturday as the Green and White take on the Lake Superior State Lakers in Grand Forks. 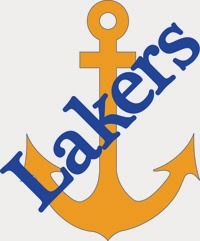 LSSU has struggled so far this season falling to 3-13 after a painful 7-0, 3-0 sweep at the hands of Minnesota State this past weekend, in which they were outshot 77-45. The Lakers are a team coming into the Ralph Engelstad Arena searching for production on both sides of the ice. Entering tonight’s tilt, the Lakers are near the bottom of the country in scoring as well as defense ranking 56th and 55th in goals per game (1.69) and goals allowed (3.88), respectively. LSSU brings just one double-digit scorer into this weekend’s non-conference faceoff. Minot-native junior forward Bryce Schmitt leads the Lakers with 10 points (5g, 5a). In the nets for the Lakers, freshman Gordon Defiel looks to improve on 3-11 record as well as a 3.53 goals against average and a .900 save percentage. Last weekend may have been Thanksgiving, but UND is looking to feast on a struggling LSSU squad. Junior and November’s national player of the month Drake Caggiula paces North Dakota’s (10-3-2) attack that is scoring at a 3.22 goals per game clip. The dynamic forward leads the Green and White with 20 points (7g, 13a). Caggiula’s linemates, seniors Michael Parks (5g, 11a –16 pts) and Mark MacMillan (7g, 6a – 13 pts) round out one of the nation’s top scoring groups. It’s been Zane McIntyre’s net for UND this season and the junior has been up to the task. The reining National Collegiate Hockey Conference goaltender of the week carries a stellar 10-3-2 record into this weekend’s series. Simply put, UND cannot take anything less than a sweep. Facing a struggling opponent in a non-conference series, this is a weekend for North Dakota to flex its muscles. Although DDC knows a team like LSSU has nothing to lose and will bring its best to The Ralph this weekend, UND’s talent is too much to ignore. After being embarrassed at home in a 5-1 loss to Bemidji State and escaping Air Force with a come-from-behind 3-2 OT win earlier in the year, UND won’t take a wounded Laker team for granted. Fast starts are important for the Green and White as UND is clearly the better team this weekend. It's not quite Meatloaf, but maybe, turkey? The No. 2 UND men's hockey team took 4 out of 6 National Collegiate Hockey Conference points this weekend against No. 11 Nebraska-Omaha, tying 2-2 on Friday (dropping the shootout) and winning 3-2 on Saturday. The Freshman forward was a stalwart in dots this weekend for UND, especially on Friday night, winning 9 of 13 draws. DDC loves the multifaceted play of this kid's play this year. North Dakota succeeds when they win the faceoff battle and Simonson is good. Coming into the weekend, much of the talk was centered around the emergence of UNO netminder Ryan Massa. It was UND's man in the pipes who stood tall this weekend. Massa played well for Omaha, but McIntyre was great, especially on Friday night as the Mavericks pushed hard after UND tied the score. This team goes as Zane goes. Wow. DDC received this text from the author of the popular University of Hockey Blog following The Captain's shorthanded and eventual game-winning goal on Saturday night. "Was that Pattyn or Crosby?" Seriously. What a missile and at a huge point in the game win UND nursing a tenuous lead. The Green and White lead the nation with eight short-handed goals this year and that one was pretty special. “Tonight we were able to get up on the board; we really showed we’re a scoring team,” Ortega said. “Kind of sending a message to North Dakota that we can score on any goalie out there.” That quote after their win against Minnesota Duluth provided a bit of bulletin board material for this weekend. Well, Mr. Ortega may want to reconsider talking before acting in the future. A rose to the leading scorer for UNO who failed to register a point on the weekend as the Mavericks were held to 4 goals in the weekend. Sure. This may not be here if UND had won on Friday night instead of lost, but did anyone else feel that shootout was extremely anti-climatic? DDC feels the NCHC brass needs to look at this. What's the need for it? That extra point may have a huge effect on the NCHC race down the stretch. Is this right? Both teams battle for 65 minutes and this is what decides it? It's become a frustrating pattern for UND this season. Torrid play for long stretches followed by long stretches of uninspired play. If this team plays a 60-minute hockey game, they are very, very tough to beat. The last 10 minutes on Friday nearly cost North Dakota the game. A lack of transition play and virtually no support on the boards led to huge chances for Omaha. Saturday, after going up 2-0, UNO scored a 2-1 goal that gave the Mavs all the momentum. There are too many good teams out there for UND to coast through large spans of games.